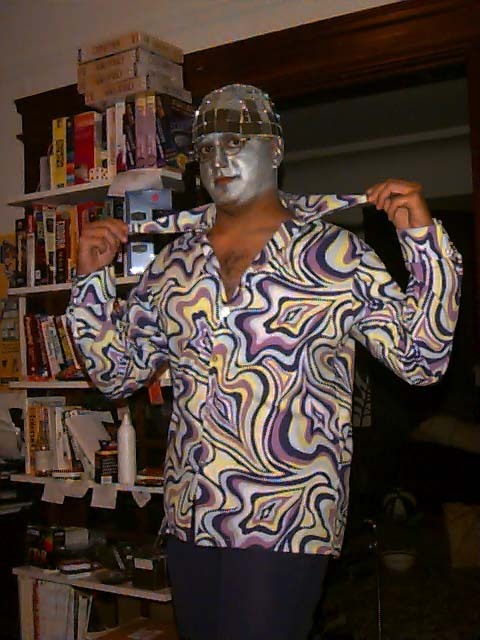 That's Mr.Disco Ball to you! Check out the collar baby! Danced around with a flashlight pointing at my head! Yes, I sacrificed my beard for costumed glory & now I look like a 5 yr. old turtle. Was going to go as Dr.Evil from Austin Powers - but Pete came up with this one & I HAD to do it. Back to the Main Picture Page!